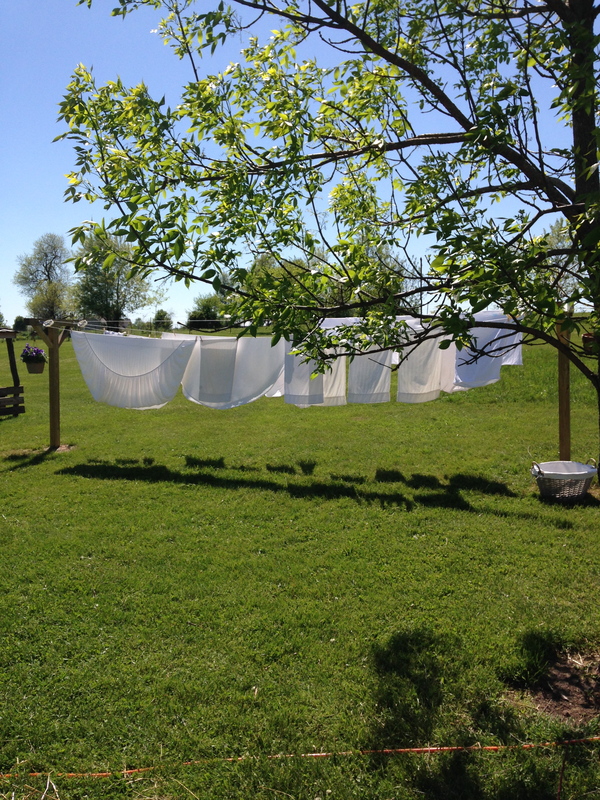 Thanks to my amazing husband, we have a new clothesline! So happy that we have a beautiful day to hang clothes out, today. We hang our sheets in half, pillow cases by the end seam and t-shirts upside down. This works great for us. The sheets do not touch the ground this way. The pillow cases do not bubble up in the breeze and the t-shirts will not have marks in the shoulders from the clothes pins. 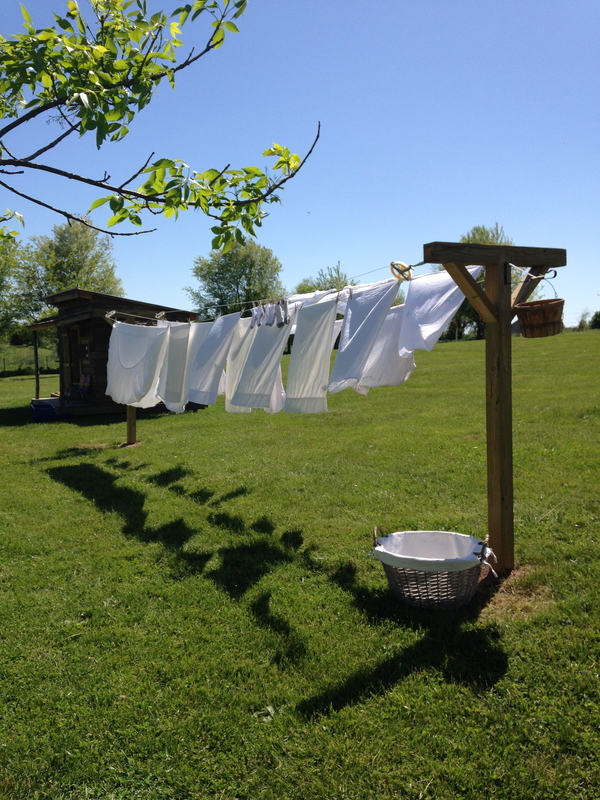 Last year we saved almost $40 a month on our electric bill by drying our clothes outside. Can’t wait to bring the sunshine in with the laundry!